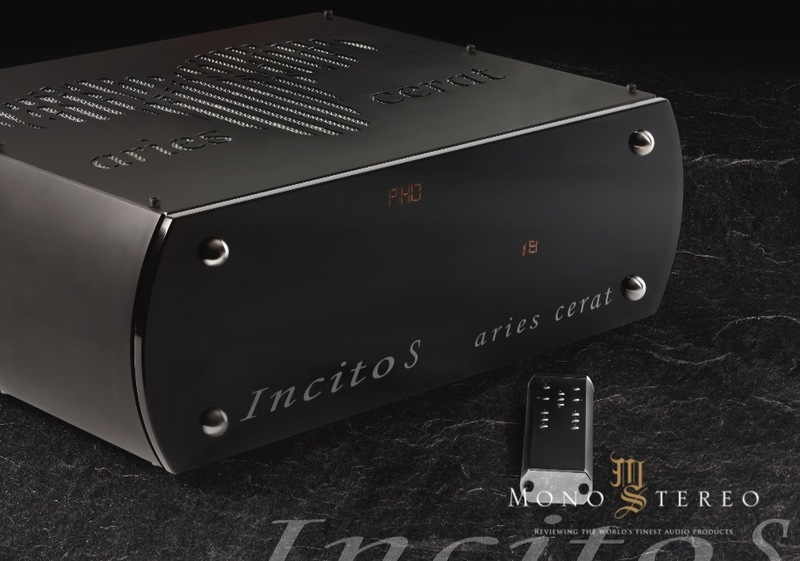 Aries Cerat is proud to officially announce the launch of the all-new preamplifier, the Aries Cerat Incito S. The Incito S fills-in the performance gap between the Incito and Impera II preamplifiers while keeping the weight and size to a more rack-friendly range. When designing the Incito preamplifier our aim was to reference a great Einstein quote “Make everything as simple as possible, but not simpler” and to absorb and implement this into our current audio design mentality. With the Incito S we took this quote but with a twist, “simpler but better”. Generally, in audio design, simple circuits tend to work and most important sound much better. However, in many cases, simple solutions come with shortcomings particularly in audio in the form of questionable measured performance. The Incito S is a contrary statement to this ‘rule’. 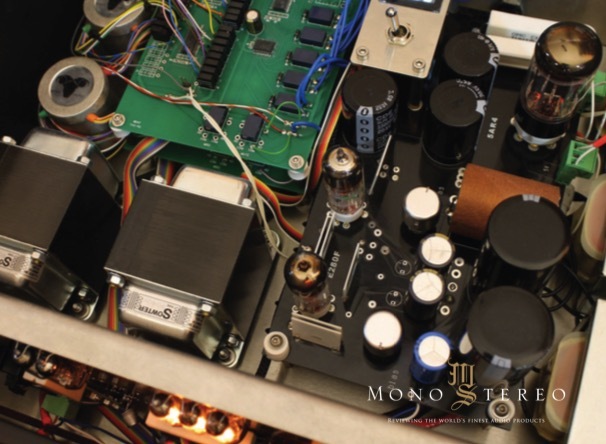 As with the Incito, in the heart of the Incito S preamplifier beats a zero feedback power gain stage which consists of a small SET amplifier and a transformer coupled super triode using the ultra high trans-conductance E280F. This superbtube, which is made solely by Siemens, is loaded with the highest quality step-down transformer with reconfigurable secondary winding to support switchable gain. This small SET amplifier can easily provide voltage swings of over 320V, stepped down to 80Vpp (or 40Vpp) while keeping transistor-like noise figures. The specially designed step down transformer provides very low output resistance and more than adequate current to drive any load down to 50 ohms! This required a robust and preferable passively filtered power supply. The power supply is built around the 5AR4 rectifier and uses separate double pi filtering for each channel with oversized chokes and high-speed capacitors. The power transformer is encased in an external chassis, connected with a permanent umbilical cord. This design choice lead to improved noise floor figures of 20db, now well below the -110db mark. For volume control we used the best-to-our-ears way of implementing a volume control apparatus... that is transformer volume control. 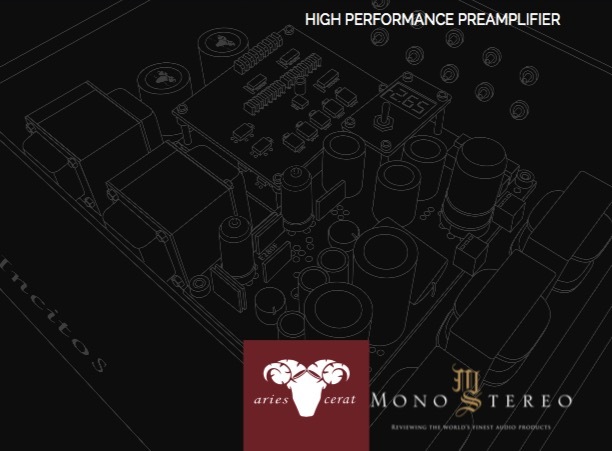 The Incito S uses the same TVC and input system of our bigger preamplifier brothers such the Impera II. To go even further we used the same AC link proprietary technology for the biasing of the small SET amplifier. The bias circuits are controlled and monitored by the use of a variable pot and a build in meter which ensures bias tuning of the design is both easy and intuitive. 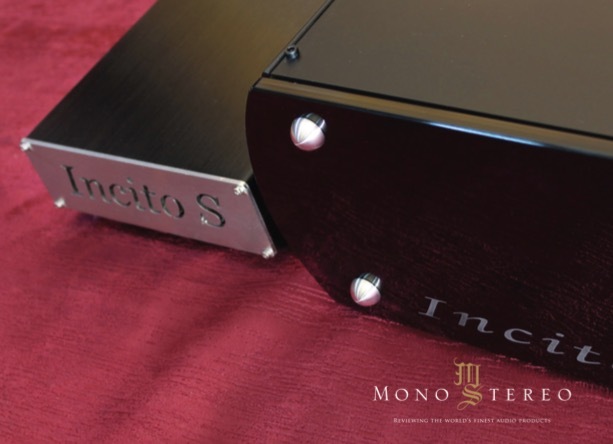 The Incito is already a great preamplifier and it was very hard to outperformed it with a design that could fit in the same chassis and keep the weight unchanged.The Incito S is our answer to that challenge and I believe we have succeeded.